* Base sold separately. Voltage and PLC connections are dependent on selected base..
Model SLM200 offers a multifunctional LED beacon with high optical performance. 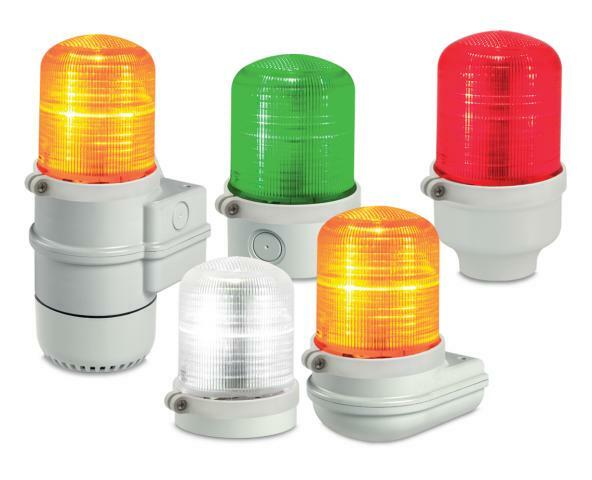 Developed with a multiple input technology, Model SLM200 allows three separate light effects (flashing, simulated strobe or random) controllable via independent electric contacts. The flashing light mode has a powerful effect ideal for attracting attention without alarming. If immediate attention is needed the simulation strobe is the ideal option. The random light pattern is unique in its ability to irregularly flash while drawing attention. Model SLM200 body material is a self-extinguishing polycarbonate material with high impact and UV resistance suitable for outdoor applications. Click here to watch a quick SLM200 flash pattern demo. 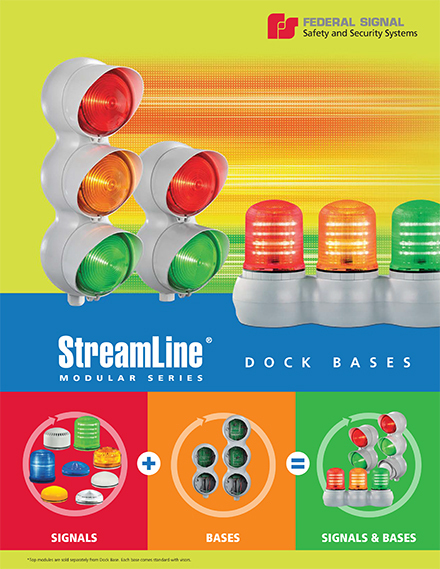 Introducing the New StreamLine® 2-Stack and 3-Stack Dock Bases. Click here for details.